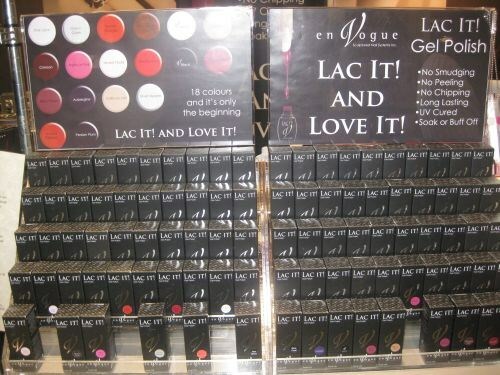 There’s a new entry into the gel-polish market: Lac It! by EnVogue. So far, there are 18 colors, plus top and base, available. Starter kits at the show run from $90 to $385.